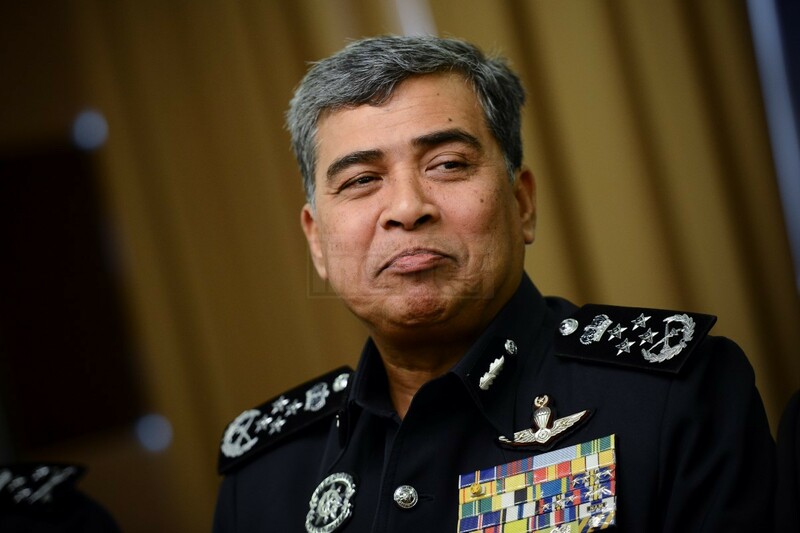 Police will temporarily postpone the investigations on the Malaysian Anti-Corruption Commission’s (MACC) alleged leakage of information which was published in the Sarawak Report portal, said Inspector-General of Police (IGP) Tan Sri Khalid Abu Bakar. He said that although more people would be called to facilitate in the investigation, the case was postponed to avoid numerous assumptions and public perception. “With a variety of assumptions and perceptions having been made, I have ordered for the temporary postponement of the case,” he told a press conference in George Town today. Commenting further on the probe into MACC senior officials and the seizure of the agency’s files and computers, Khalid said the police were only doing their job based on the report received. The IGP said the police never intended to interfere with any investigations, let alone targetting any particular institution, especially the MACC. “We had no choice, we cannot make selective investigation, we cannot do that. When we receive the report, we have to carry out our responsibilities. Besides, this is a very serious report. “We need to complete the investigation and submit a report to the Attorney-General and let him make the decision. “The accusation is not made by an institution, but by individuals whom we have to find and investigate. I don’t want the police and MACC to hold any grudge against each other because it is not good for the country, for law enforcement agencies,” he said. Khalid said that what was done by the police was in accordance with the provisions of law and any seizure of goods for investigation was a normal procedure in police investigation. Earlier, speaking at the dinner in conjunction with the IGP Cup Friendly Golf Tournament 2015, he said the MACC was not the enemy of the police and it was the responsibility of the police to support the MACC’s tasks in combating corruption. “We all know that over the last week, there are disputes between the police and the MACC. We never want to interfere with whatever tasks carried out by other agencies,” he said. Khalid said the action against MACC directors and two senior officers was taken because there was a need to find how the copy of a charge sheet could be uploaded into the Sarawak Report portal. “We have also called witnesses from Bank Negara and other commercial banks in conducting the investigations. We acted on the instruction of the Attorney-General. We arrested three people, seized documents and set them free. “We have also returned the documents after we finished checking it. We only focus on the leakage of information in Sarawak Report and also leakage of banking information. We consider these actions as a serious crime as it could threaten the stability of the country,” he said. Meanwhile, Khalid said the Bukit Aman police have requested Interpol’s help to arrest Sarawak Report editor Clare Rewcastle Brown. “We have issued an arrest warrant against her and have also asked Interpol to register her as a person wanted under the ‘red notice’,” he added. – Bernama, August 9, 2015.